Desserud, Donald. "Bernard Lord". The Canadian Encyclopedia, 15 August 2017, Historica Canada. https://www.thecanadianencyclopedia.ca/en/article/bernard-lord. Accessed 19 April 2019. Bernard Lord, lawyer, businessman, premier of New Brunswick 1999-2006 (born 27 September 1965 in Roberval, QC). After becoming New Brunswick's youngest elected premier at age 33, Lord successfully revised the province's Official Languages Act and introduced widely praised measures to improve bilingual services. 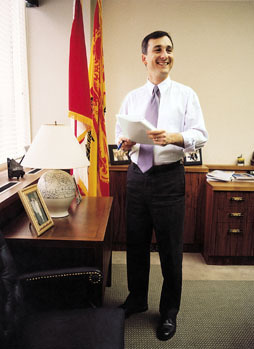 Bernard Lord, premier of New Brunswick 1999-2006. Bernard Lord was born 27 September 1965 in Roberval, Québec, the youngest of four children of Marie-Émilie and Ralph Lord, a pilot. The family moved to Moncton, New Brunswick when Lord was a baby, and he was raised and educated there in a bilingual environment. After finishing high school, Lord studied economics and then law at the Université de Moncton, where he served three terms as president of the university's student union. He was admitted to the legal bar in 1993, established his own law firm in Moncton, and practised as a litigator. He married in 1990. He and his wife Diane have two children, Sebastien and Jasmine. In 1997, Lord – a political unknown – contested the leadership of the New Brunswick Progressive Conservative (PC) Party after Bernard Valcourt had lost the position in a leadership review. Lord surprised political pundits with a second-ballot victory in October. He took command of a party that had been out of power for more than 10 years. Although the PCs were seen as weak competition for the governing Liberals, the resignation of long-time premier Frank McKenna earlier that month, coupled with the election of the youthful Lord, gave many in the PC Party new hope. That hope proved well founded. In 1998, Lord won a seat in the legislature in a by-election in the riding of Moncton East. The following year, Liberal premier Camille Thériault called an election for 7 June. Despite being well behind in the polls, the PCs and their fresh-faced, young leader ran a disciplined campaign, advocating tax cuts, more money for health care, and smaller government. Once again Lord surprised observers by soundly defeating the Liberals, winning a majority government with 44 of 55 seats. At just 33 years old, Lord became New Brunswick's then-youngest elected premier, and the province's first Conservative premier since Richard Hatfield (1970-1987). Lord's campaign had included a pledge to fulfill 20 election promises in the first 200 days of his government's mandate. While some of the promises were of a vague administrative nature, such as "reduce red tape," others were more specific. Among the most controversial was the decision to eliminate tolls on the new Fredericton to Moncton highway. The unpopular tolls had generated protests that dogged the previous Liberal government. However, eliminating the tolls was the only promise Lord could not fulfill within the "200 days of change." Even so, by March 2000, Lord's government removed the tolls and agreed to compensate the private road developer for lost revenue. One of Lord's most significant accomplishments was the revision of New Brunswick's Official Languages Act. This followed a 2001 New Brunswick Court of Appeal decision ordering changes to ensure that New Brunswick's municipal governments and health care facilities provide sufficient bilingual services where warranted. Such reforms could have generated deep divisions, however, Lord quarterbacked an all-party agreement and minimized public debate. New measures were passed unanimously in June 2002 amid much ceremony. 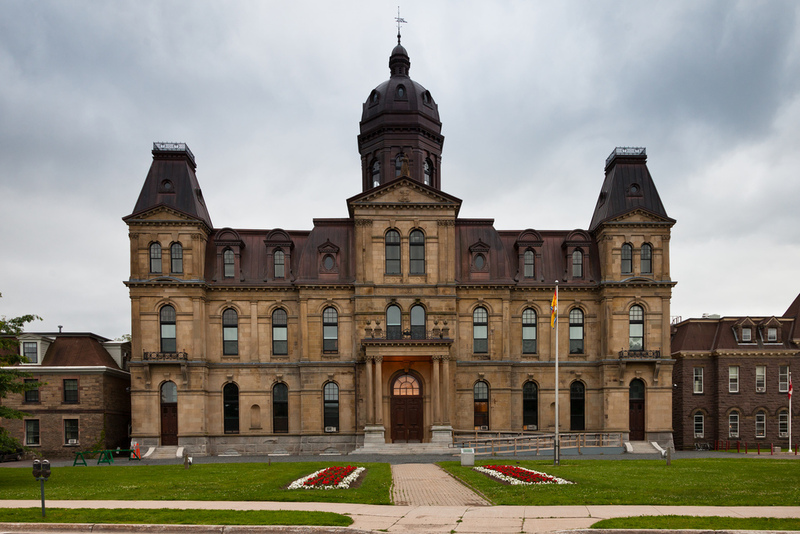 In an unprecedented move, Lord invited former Liberal premier Louis Robichaud, a father of New Brunswick bilingualism, to speak on the issue from the floor of the legislature. The New Brunswick provincial legislature, in Fredericton. At the same time, Lord's government was battling public anger about increasing car insurance rates, a ballooning issue that found its way to the forefront of the 2003 provincial election. Despite a challenge from new Liberal Leader Shawn Graham – another young politician – Lord won a second mandate, and a razor-thin majority with 28 out of 55 seats. Three years later – having balanced the provincial budget, while also having drawn criticism for cutting and consolidating health services – Lord called an early election for the fall of 2006. On 20 September, his government was narrowly defeated by the Liberals, who took 29 seats versus 26 for Lord's Tories. In December, Lord announced he would resign both as PC leader and as MLA for Moncton East. “While I personally wanted to do more, and was prepared to do more, I [am] happy with the success we have been able to achieve," he said. New Brunswick voters may have become impatient, during Lord's tenure, with his ongoing dalliance with federal politics, thanks to repeated calls from outside New Brunswick for him to seek the national Conservative leadership – and later (after Stephen Harper became the federal leader), to seek a seat in Parliament. Lord's youth, linguistic fluency, strong debating skills, and winning record had attracted much attention across Canada, and for several years Lord had done little to discourage it. Questions about a national political career followed Lord after his defeat in 2006. He decided instead to return to law, and joined the legal firm McCarthy Tétrault, days after leaving politics. In December 2007, Prime Minister Stephen Harper appointed Lord as a special advisor for consultations on Canada’s Official Languages Act – tasked with developing the government’s strategy on official languages. Former New Brunswick premier Bernard Lord speaks at his alma mater, the Université de Moncton, in January, 2017. 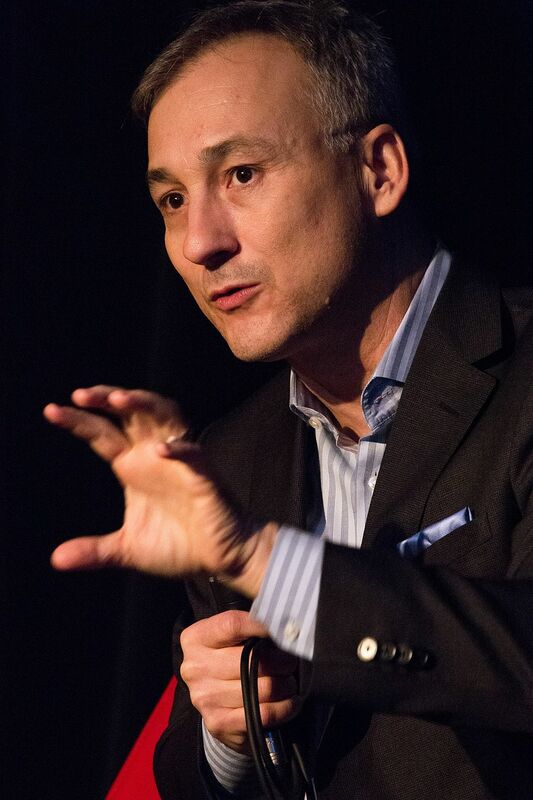 The next year, Lord was named president and CEO of the Canadian Wireless Telecommunications Association. He remained at the helm of the wireless industry lobby group until 2016, an era of explosive growth for the industry. “The transition has been from what was traditionally a voice-tech eight years ago to what is primarily a data-and-video service now,” he said. Lord was appointed board chair of Ontario Power Generation in 2014. In June 2016, he became CEO of the health services company Medavie Blue Cross, after serving on its board for eight years. The move allowed him to return to Moncton, where Medavie has its head office. Jacques Poitras, The Right Fight: Bernard Lord and the Conservative Dilemma (2004).